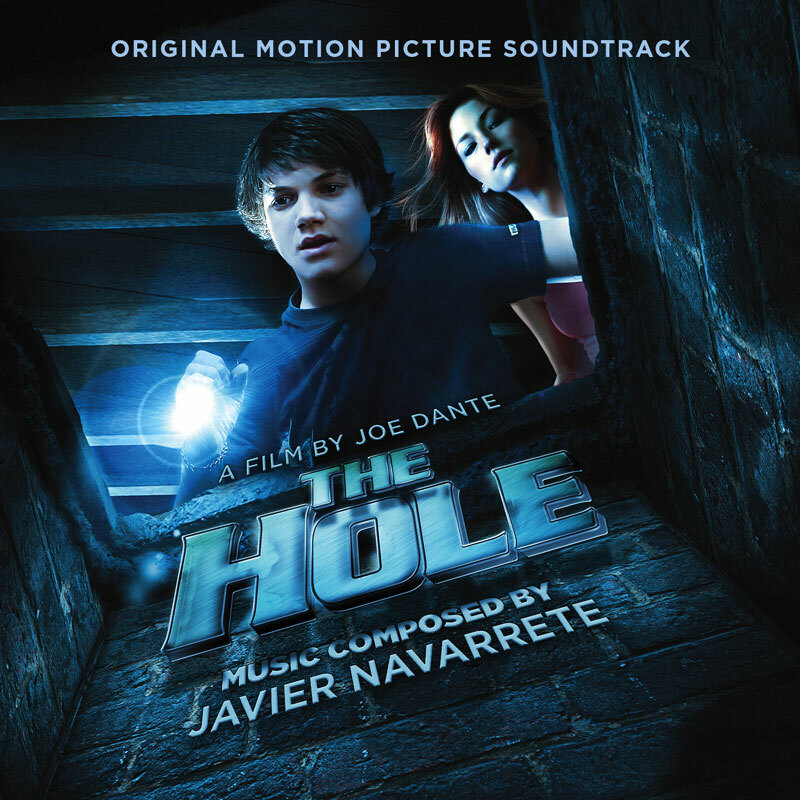 Back in September of 2012, I was speaking with Oscar-nominated composer Javier Navarrete about his work on the Joe Dante film, The Hole. The film was done way back in 2009, but wasn’t getting any kind of release until October 2012 – and apparently there was no soundtrack album planned! So, working with La-La Land Records, we jumped at the chance to work (once more) with Joe Dante, and get an album release for The Hole. It wouldn’t come out in time for the home video release, which was literally two weeks away, so we just aimed to ‘get it done when possible’. The tricky part, initially, was getting the audio assets, since the project was nearly three years old, and was not something people had just sitting on their hard drives. Working with music editor Steven Saltzman and scoring mixer/producer Jeff Vaughn, we managed to find all the final mixes, and I started on the album assembly. Opting to present the score more as listenable album rather than every piece of music in the film, I dropped a bunch of tracks that seemed redundant, and created an assembly that ultimately Javier was very happy with. The artwork came together rather quickly as well; Bold Films provided us with the key art and a nice set of photos, including some behind-the-scenes pix, which gave me the opportunity to put his very nice “note from the director” alongside a great photo of him on the set. It’s a creepy and thematic horror score, and I’m very happy that we were able to release the music.